If you spend ten minutes in the forests of Borneo, you might not see the thousands of insects that surround you, but you will hear them. Life bursts from every inch of this biologically rich environment, from the branches that provide highways for ants, to the sheltering cracks and crevices in the trees, to the shady undersides of leaves. 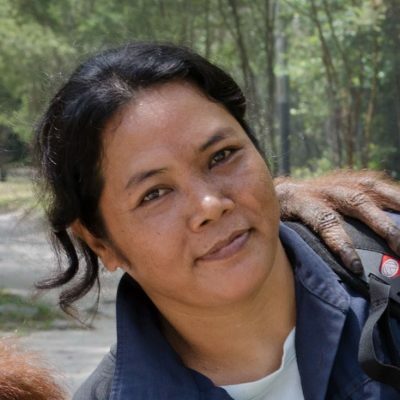 Ibu Evi, the coordinator of Pondok Dua, one of our nursery facilities, is a compassionate caregiver and a comfort for many of the young orangutans here at the Orangutan Care Center and Quarantine (OCCQ) in Pasir Panjang, Kalimantan Tengah (Central Indonesian Borneo). She also is an exceptional photographer of some of the smaller, mesmerizing creatures she comes into contact with during daily releases with the orangutans. For a number of years, while following orangutans as they explore and learn, she has captured detailed photos of the insects of Borneo. Spotting species takes time, experience, and an intuitive understanding of forest botany. In the tropical rainforest, it is even possible to encounter a species not yet fully identified or scientifically named. Only with patience and attention to detail can one capture glimpses of an insect in the forest. With miniscule contact or breath of wind, the insect will scurry or fly away. Discover this elusive world through Ibu Evi’s eyes, as we feature her exceptional photographs of the weird and wonderful insect fauna hidden in the forest. 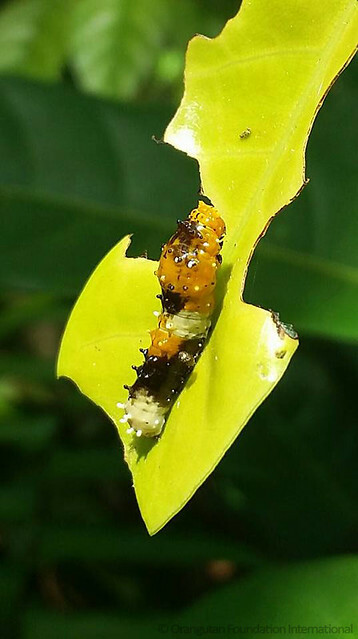 Caterpillars are what Ibu Evi discovers most frequently in the forest. They are eating machines and slow to move as they concentrate on eating. Leaves perforated like giant honeycombs are the souvenirs of their slow travels through the forest. The sheer mystery of their future transformation is captivating. In many traditions across the globe, this metamorphosis is seen as an icon of hope. 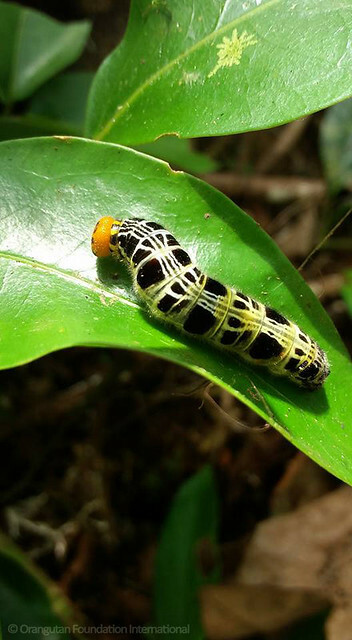 Their winged adult forms are vibrant and patterned, but caterpillars themselves are far from dull. The variety of size and appearance is fascinating. Because they are a rich source of protein to many animals, caterpillars have developed an extensive range of defence mechanisms. 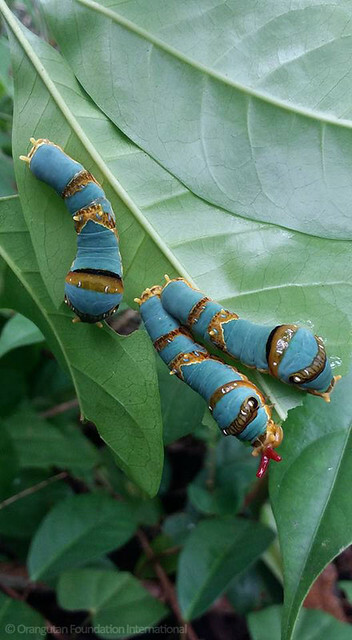 Some mechanisms include: cryptic coloration to make the caterpillar look like a fallen leaf or bird droppings, illusions to make caterpillars appear larger, venom production, or toxic breath in the case of the tobacco hornworm. Caterpillars are impressively built, putting vertebrates to shame. 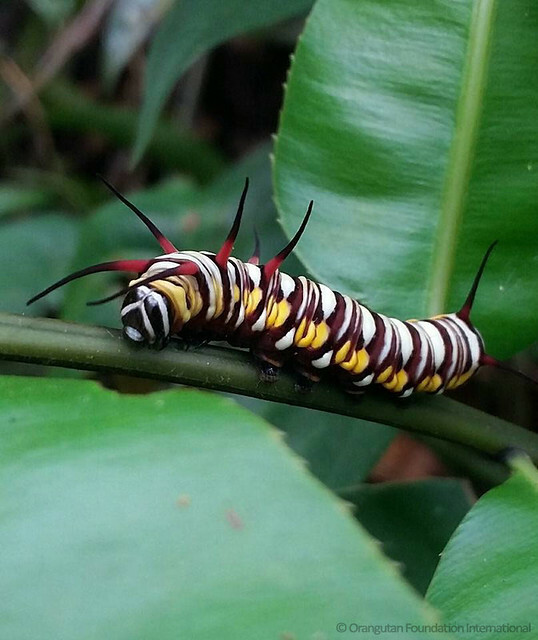 Caterpillars may have as many as 4,000 muscles in their bodies. Their heads alone are comprised of around 250 muscles. 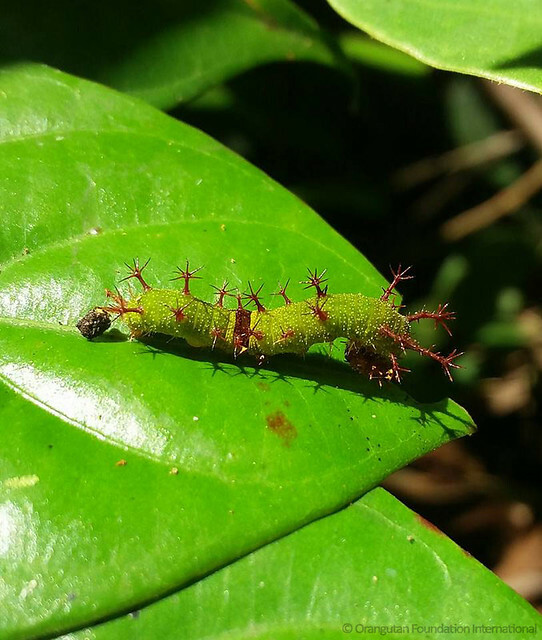 In this essay, we are fortunate to share Ibu Evi’s vision of caterpillars in the Bornean rainforest. 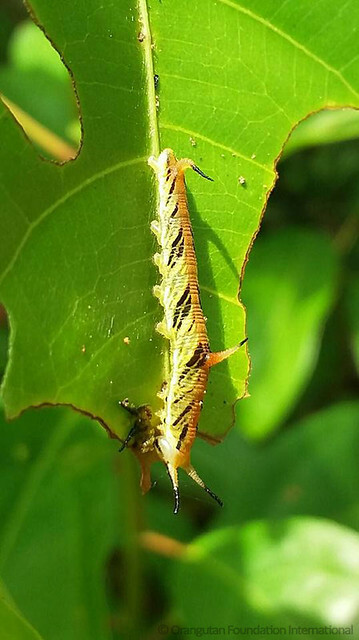 Share the elusive world of caterpillars with your friends! Tremendous photographs. I am an old friend who lost his way, I have committed to monthly donating for a cause close to my heart. 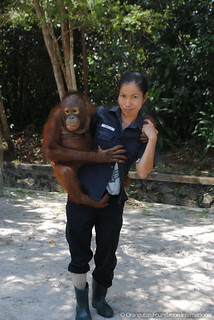 I love all wildlife but orangutans are my true love, along with my two dogs. 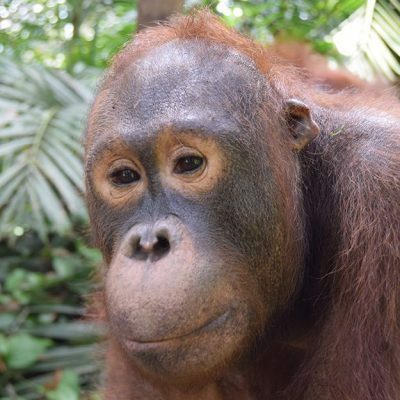 I considered donating to an all around wildlife foundation but after doing some research I found that my money would be best used by Orangutan Foundation International. 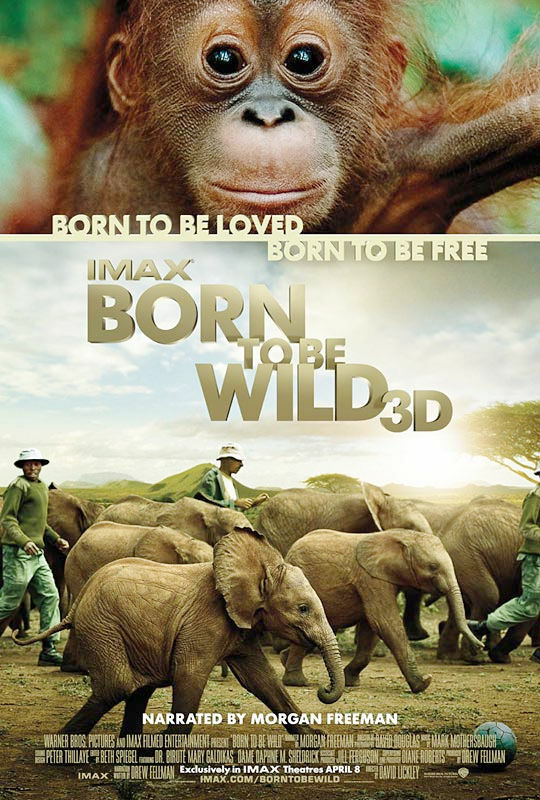 I commend Biruate and her volunteers for their hard work and dedication to the conservation of the orangutan. There is no better cause! Informative and beautiful. Thank you so much for sharing a taste of Borneo’s (normally) unseen treasures! Lovely images and some beautiful caterpillars there with great info too for someone researching such as myself. 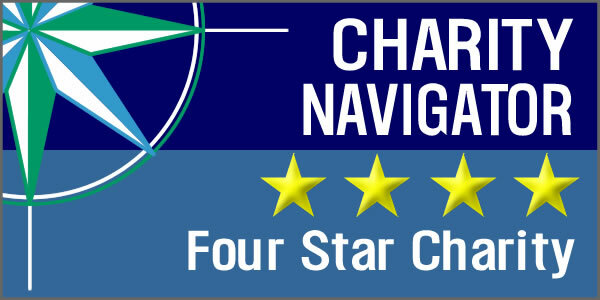 Certainly has helped me i.d. a few of these little critters whose voracious appetites seem to know no bounds!